Google will serve up the number for the Samaritans hotline for people who are searching for suicide information – following a successful test in the US. The search giant believes that it can provide people with a better option by giving them the number for the Samaritans help line, where people who are considering suicide can receive help and advice. Targeted search results have received plenty of criticism for being a little invasive, but in this case it appears a perfect use of modern search technology. The Samaritans provide confidential emotional support 24 hours a day for people who are suicidal or experiencing feelings of distress or despair – on the number 08457 90 90 90. 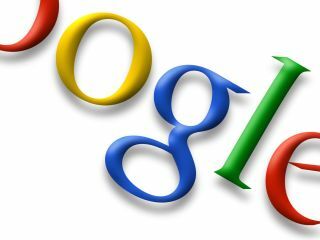 Google's UK Managing Director Matt Brittin said: "People turn to the Internet for information and advice all the time. "We hope that by adding a highly visible link on searches relating to suicide, Google can help guide those who are vulnerable, distressed or suicidal to the renowned expertise and support service offered by Samaritans." Samaritans' Chief Executive Catherine Johnstone added: "We welcome this positive step by Google and we hope this new search tool that promotes Samaritans' helpline details will encourage distressed or suicidal people to seek help from a safe source. "The Internet is a rapidly expanding phenomenon that allows people to access huge amounts of information, much of which is helpful but some of which can occasionally be dangerous. "It is therefore important that vulnerable and distressed people are steered towards safe places such as Samaritans."